Home bridal makeup Bridal Consultation - Which Lip Color to Choose? Happy Friday! Today is going to be a longggg day. I'm leaving work early at 4pm so I can make it downtown to make it to an Indian Wedding at 5pm. I'll be doing makeup for the bride, her mom and sister until about 8:30. Then I need to be at an all night sorority event from 9pm onwards...I need to get myself a Monster energy drink! Last night I packed my train case...I have a set up at home where clients come for makeovers. Therefore, I pack my traincase only when I have a gig on location. It takes me a while to pack it because i'm so OCD. If you're on twitter you've heard me talking about it. 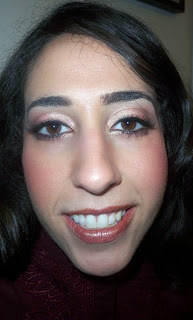 The wedding is a traditional Indian ceremony lasting three days...so I'll be doing makeup Friday through Sunday. I also have sorority stuff all through this weekend. 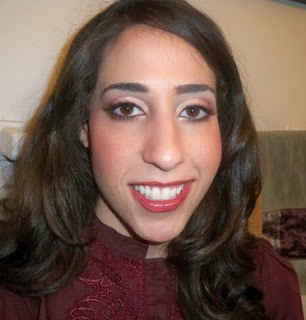 I'm excited though because Arabic style makeup is my fav! 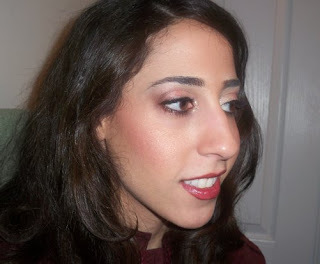 Speaking of Indian bridal makeup, I did a consultation last week with another bride to be. 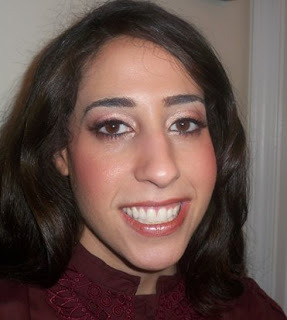 She wasn't doing all out Bright Arabic Style makeup...she went more the neutral route. The eyes were really easy to do. The bride is actually going to have her entire face threaded so we used concealer on her eyebrows to mimic a "complete" look. The main issue we were having was picking a lip color. She's used to dark burgundy type lips but was open to trying out what would look best for the big day...I think we went through about 20 lip combos to see what I thought looked best on her and what she felt comortable with at the same time. Which one do you guys like? She's wearing lighter lips in the first two, and darker in the second two. I know which one I like but i'm not telling he he. i do like the last onevery nice contrast with her skin . woe she has such nice teath!!! I like the darker lip color better. She's so pretty! I would say the dark lipstick looks better on her because it shows her teeth gets whiter more :) Oh yeah, goodluck! i hope you have the energy this weekend! Hey Renren!! what color did you use on the inside of her lid???? I like the darker lip. Good luck this weekend! wait how do you thread your entire face? I like the darker color better, but i agree depends on what she's wearing. have fun babes, drink some bawls! I like the bottom pics. The lips color goes together nicely with the eyeshadow shades. oh i really love the darker lip. it goes well with the eyes. great job! and have fun this weekend! hey ren! can you please tell us what concealer and foundation you used on her?? it looks sooo great! also, what shade is she? i think im her skin color! thanks girl! top lip color! she's so pretty! I like the first and last one on her actually...The first one brightens her skintone and the last one complements the colors in her skin...did that make any sense?